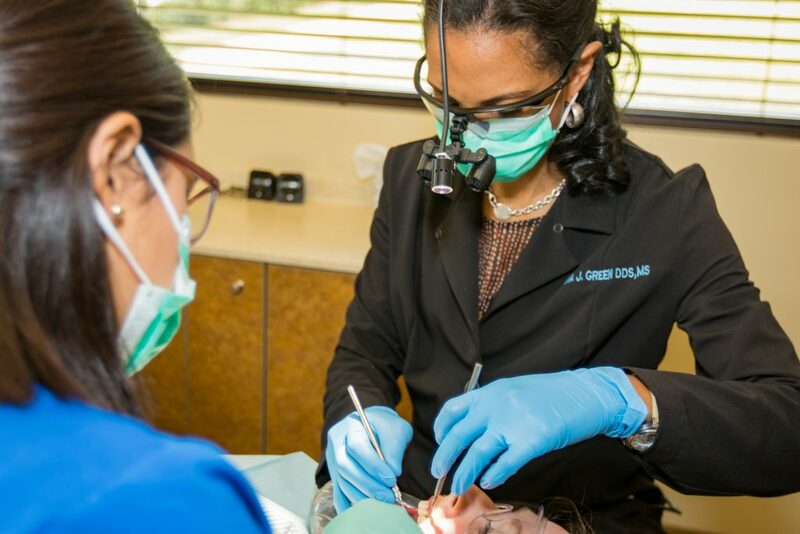 If you notice your gums are bleeding when you brush or floss your teeth, seek treatment with Dr. Kiya Green in Matthews, NC as soon as possible. When the gums are sore, painful, or inflamed, it may be a sign of gum disease. You may have irritated or swollen gums when you neglect to take care of your oral health and remove plaque from the teeth and gums regularly. Bleeding gums are just one of the signs of gum disease and are an indication that the gums have become infected. 47.2 percent of adults aged 30 years and older have some form of periodontal disease. The state of your oral health can have a positive or negative impact on your overall health, so any signs of gum disease need to be addressed as early as possible. If your gums have become infected or you notice that they are red and inflamed, you may have an active infection in the mouth that should be evaluated. Painful, swollen gums should not be ignored! If you neglect to brush and floss your teeth regularly, you may accumulate plaque and bacteria that cause your gums to bleed and turn red. The early stage of gum disease (gingivitis) can be reversed. However, once it progresses to the stage of periodontitis, you may need laser gum disease treatment, periodontal therapy, and/or maintenance cleanings to keep the infection at bay. Some medications can cause bleeding gums. Make sure to share all medications you are taking with Dr. Green, including blood thinners, aspirin, birth control pills, blood pressure medications, and NSAIDs. Hormonal changes during pregnancy can make your gums bleed when flossing and brushing your teeth. It is even more important for pregnant women to take care of their oral health because periodontal disease can cause problems such as preterm labor and low birth weight babies. "Overall my experience has been absolutely wonderful. I don't have the pain I was feeling in the past. I feel more confident in smiling. I feel like, again, coming here just has given me exactly what I needed to feel like myself again." Are you worried about bleeding or swollen gums? Schedule your appointment in Matthews, NC with Dr. Green today!